There has been a lot of talk lately about innovation and whisky. From alternative grain types to barrel selection, blending and new whisky-producing regions around the globe, there is some really exciting work being done in this industry. At recent whisky events, it has almost been impossible not to come away feeling energized by the diversity of quality whisky being put into the market and the unique distillers that are carving out new products and niches. A few distilleries and whisky companies, in particular, have jumped out on my radar recently as some of the truly innovative whiskymakers. At Julio’s Liquors Go Whiskey Weekend the other week, I had the opportunity to meet some of these folks and really get a taste for their products that are changing the landscape. 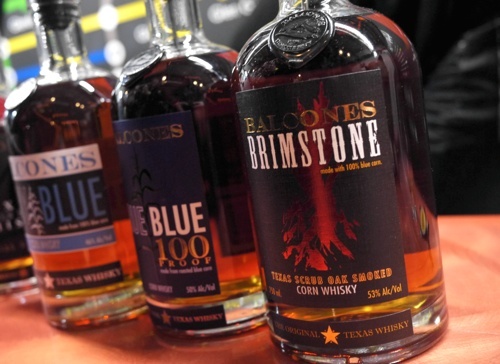 Blue corn and smoked oak, two major characteristics of Balcones impressive lineup. Perhaps you’d be surprised to hear that one of the most innovative craft distillers in America is based in Waco, Texas. On the other hand, if you’ve been paying attention to whisky media at all lately, you’re probably not surprised to see Balcones name at the top of the list here. 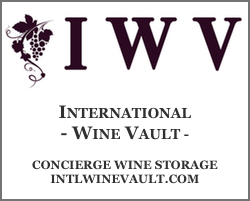 I recently had an opportunity to try their lineup of whiskies and, I’ve got to tell you… wow! How does a distillery so young produce whiskies this mature and sophisticated? You’d probably have to ask head distiller, Chip Tate, about that; but from a consumer’s perspective, these Balcones whiskies are adding something truly unique to the whiskey market. True Blue and Baby Blue are whiskies both made from Hopi blue corn, which creates a completely unique profile that’s much more raw corn flavor than you get from traditional yellow corn. I wound up picking up a bottle of the True Blue 100 and I can’t stop drinking it. It’s just that unique and delicious. Another wildly unique whisky from Balcones is Brimstone which is a smoked whiskey. Mind you, this is not a peat smoke whiskey. Balcones actually smokes their whisky with Texas scrub oak so you wind up with this rustic, backwoods, campfire smoke element that smacks you upside the head and leaves you stunned (in a good way, of course). The beauty of this whisky is that although the smoke is big and in your face, it’s balanced with all of the delicious whiskey notes from the fresh corn, fruit and rich sweetness. And, I’d be doing you a disservice if I didn’t also mention Balcones Single Malt as well. This is where your head spins a bit trying to figure out how they’ve developed such a rich and fantastic whiskey in just a few years of distilling and aging. I guess there’s a reason why this distillery is winning awards left and right, like Whisky Magazine’s Best Craft Whiskey Distiller of the Year. The Single Malt isn’t doing too bad on the awards circuit itself. It’s easily up there with some of the best single malts being produced in America right now, and I’d venture to say that this whisky can hold its own on a global stage. The fact that it’s as young as it is just makes that feat even more impressive. Talking to Winston Edwards, Brand Ambassador for Balcones, I learned of a few new products coming to market in the very near future. I can’t tell you the exact details of said releases (for fear that Winston may come back to Boston and drink all of my hard-to-find beer), but there is some really exciting stuff on the horizon for this Texas distillery. Keep your eyes peeled! 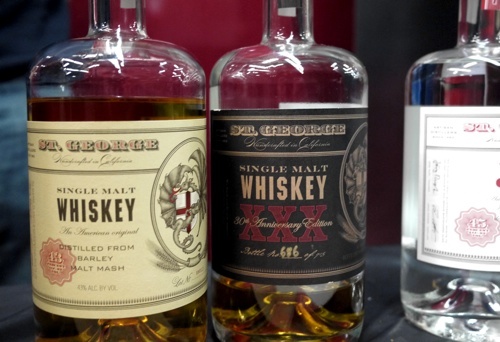 St. George’s 30th Anniversary Whiskey is made using some of the oldest single malt in America. When most of us think and talk about craft distilling in America, we often address it as a relatively new thing. And certainly, the vast majority of craft distillers in America have popped up in the last few years. Balcones, for instance, started in 2008. But, St. George Spirits out of Northern California is a major exception. 10-15 years from now when craft distilling in the US is as big as craft beer is now, we’re going to look back at St. George much like the way we look at Sam Adams or Sierra Nevada. Seriously, these guys were way ahead of the curve. In fact, they just released a 30th Anniversary Single Malt whiskey to mark this rather impressive occasion. I got a chance to taste the 30th Anniversary release at Julio’s and I am happy to report that it is nothing short of mind blowing. It was made using some of the distillery’s oldest heritage barrels, thus containing some of the oldest single malt whiskey available from any American distillery. 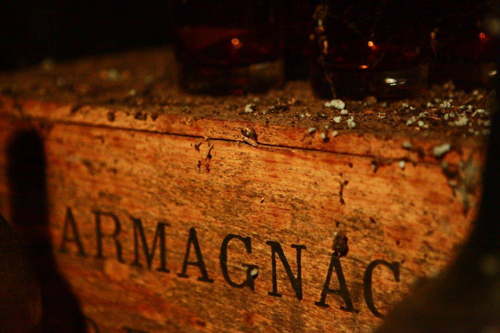 It’s rich, creamy, silky, fruity, spicy… aged to perfection. And talk about ballsy innovation, it was finished in a barrel that once held pear eau de vie so it has got this really interesting pear undertone that just hits it over the top. Of course, at $400 retail, you may never be able to get your hands on one of the 715 bottles that were released, but even if you don’t, make sure to go out of your way to try St. George’s regular Single Malt release. 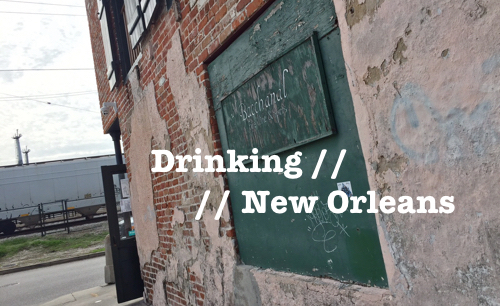 It’ll give you a peak into where the American craft whiskey industry is going. John Glaser enlightening the Go Whiskey crowds on blended malt whiskey. I’ve always been a little so so on blended whisky. But John Glaser of Compass Box has completely changed my mind… well, at least in regards to his own blended Scotch whiskies. I don’t know what kind of mad science lab Mr. Glaser is running over there in London, but he’s doing some truly magnificent work producing whiskies that are paving their own path and spinning a lot of Scotch traditionalists on their heads. At Go Whiskey Weekend, John gave a seminar for about 50 folks – myself included – and tasted us through his diverse lineup of products. One thing that becomes clear when tasting these whiskies is that John is going to all lengths to craft whiskies that are truly one-of-a-kind and of the highest quality. Each of his whiskies are all impeccably balanced and hand-selected through endless tests using whiskies from a range of Scotch distilleries and some of the best barrels that can be bought (including some rather expensive French oak barrels). When it comes to putting this much care and craft into blended whisky, John Glaser and Compass Box are pretty much in a world of their own. Vatted Malt’s went out with a bang. 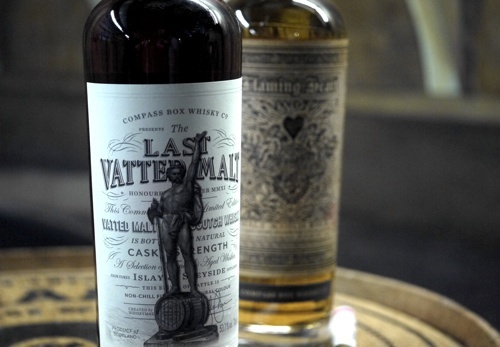 The Last Vatted Malt is a masterpiece. The true testament for me in regards to Compass Box was that during the entire Go Whiskey Weekend (after tasting through at least 100 different whiskies) Compass Box had my favorite $40 and under Scotch (Great King Street) and my favorite $250 and over Scotch (The Last Vatted Malt). My hat is off to John Glaser for these two impressive whiskies. I honestly cannot think of a better Scotch in the $40 price range than Great King Street. But The Last Vatted Malt… good God! That is a special, special spirit. It pains me greatly to know that this whisky wasn’t released in the US. This release was literally the last vatted malt ever produced in the UK. At 11:59am on the eve before the law was changed banning the usage of the term “Vatted” (it was changed to “Blended”), John and his crazy Compass Box buddies stepped out in front of Big Ben in the heart of London and poured this whisky into bottle, sealed the cork and declared this whisky the last vatted malt, ever. And, man what a vatted malt it is. I don’t know about you, but I’m pretty damn excited about the innovation that is taking place in the whisky industry. From Chip Tate of Balcones to Jörg Rupf of St. George to John Glaser of Compass Box, the future of whisky is looking as bright as ever. Keep pushing, guys. We look forward to more innovation to come. Brimstone is just plain nasty, horrid whiskey! Thanks for the comment, Hal. I think this is one of those love it or hate it whiskies. I can see a lot of people getting put off to that huge texas oak smoke profile. Personally, I was really intrigued by it. But, to each his own, eh? It just isn’t to your taste. You don’t know what bad whiskey is until you’ve had Fitch’s Goat. Awesome article, Terry. 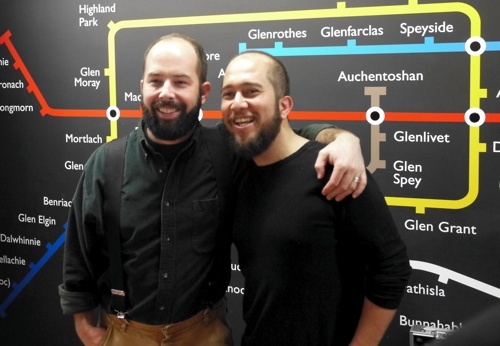 I loved it – and I love these 3 innovative and exciting whisky makers as well. Hal – let your Brimstone open up. Try it with some figs. Lastly – make it into rich and smoky Old Fashioneds. I didn’t like Brimstone at first. Then I fell in love (and now I’m on my 3rd bottle). Thanks Josh. 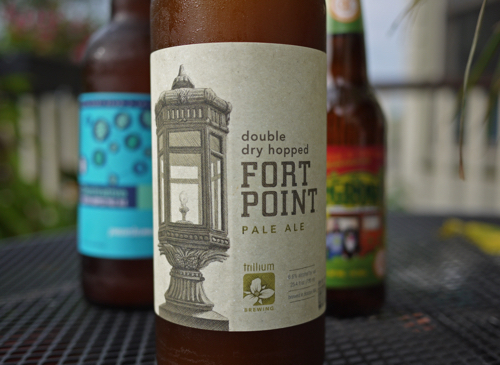 I may have to try a little Brimstone and fig. that sounds pretty amazing. I find it interesting that all these innovators happen to be American (John Glaser is from Minnesota according to a Wired.com interview).